We sold out of some of the products that we sampled! The Wake Up to Organic campaign is something we’ve followed but not actively taken part in until this year. We all believe in organic food and loved the concept of just getting people to try organic foods that they may not have tried before. We decided to go for it this year and with it being a Wednesday it coincided with a busy market day here in Bridport so there was a lot of activity on South Street. It was a good opportunity to get out there and meet people that may not have shopped with us before. A great deal. It was fantastic to get talking to lots of different people of all ages, many of whom weren’t our normal demographic. We loved being able to get people to try kefir – this was really popular and got lots of people coming inside to check out our other probiotic drinks in the fridge and exploring the rest of the shop. 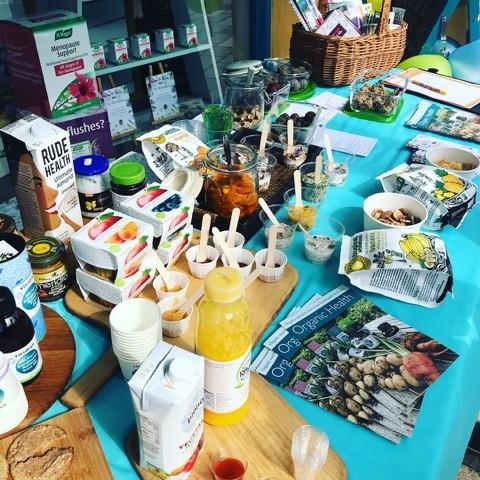 We sampled lots of kefir – this was a huge success and a great way to get people interested as there’s so much talk about probiotics in the media. We made granola with various toppings in small pots that they could take away. We had homemade energy balls, tahini roasted nuts, lots of dried fruit snacks, fruit purees, vegetable juice and plant/nut milks. 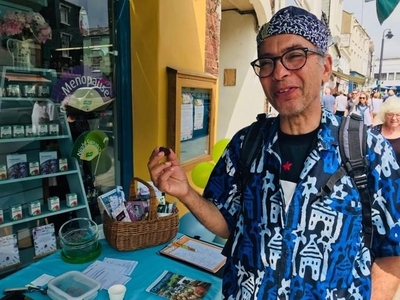 We produced recipe cards for all our homemade energy balls and granola which were great to be able to hand out with the organic leaflets from Viridian. We also sampled the only organic Fish Oil from Viridian. Getting children involved trying things like the fruit purees and giving them a Wake Up To Organic sticker was a great way to involve the younger generation. We gave away a goodie bag to any customer who spent over £10. It was fantastic. We sold out a number of the products that we sampled and having aimed to stop at 11am we ended up running until 12.30 as we had so much interest and a lot of footfall. The weather was glorious which helped! Getting really positive feedback and seeing people tasting things they wouldn’t normally try. We promoted it on our ‘Naturalife Bridport’ Instagram, Facebook and Twitter to try and reach as many people as possible. We also had posters up outside the shop and on our ‘A’ board. We made sure we told all customers when it was and the postcard flyers were filled in and put in customer shopping bags. We wrote a press release and sent it to the local paper and rang them asking if we could be featured but frustratingly we didn’t make the cut! 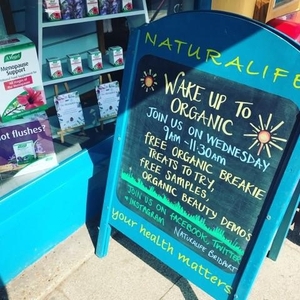 Do you have any great ideas for Wake Up To Organic next year? 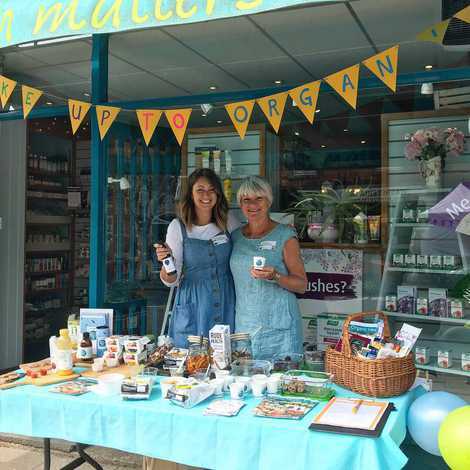 Yes, getting out on the street and having a table outside the shop where we could talk to passers by was a great way to talk to lots more people, not just health food shop customers, so we’ll definitely do that again. We will also sample our organic skincare ranges again too. We had a separate table where we focused solely on organic skincare – we thought we should talk about that as well as food – Wake Up To Organic with your morning skincare not just your breakfast! This proved a real success. We ran a promotion offering discounts on the brand we featured and gave away some wash bags which were well received.